The prosecutors argue Williams improperly took it upon himself to decide whether it would be in the "public interest" to compel Porter to testify under a limited form of immunity in the trials of Officer Edward M. Nero — set to begin Feb. 22 — and Officer Garrett E. Miller and Lt. Brian W. Rice, scheduled for early March. Lt. Brian Rice, whose trial was slated to begin Wednesday, will head to trial April 13. Trial DSate was res-set again after appeals debacle. Freddie Gray case. 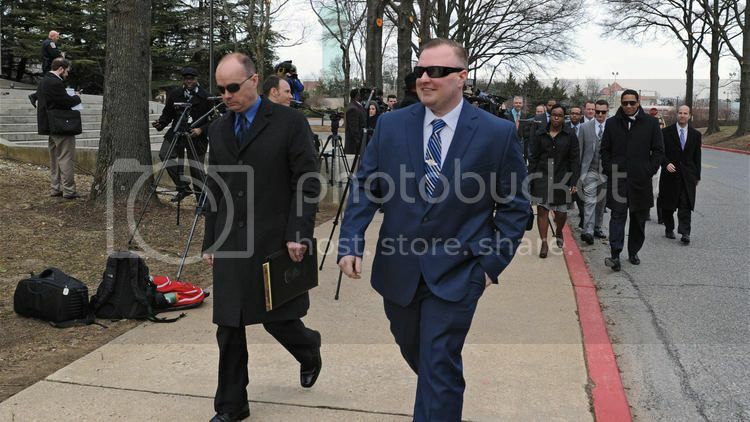 They are shown here leaving a hearing at the Maryland Court of Appeals in March. After failing to secure a conviction in a third straight trial in the death of Freddie Gray this week, prosecutors have just days to decide how to proceed with the trial of the next police officer. Lt. Brian Rice, the highest-ranking of the six officers charged, is due to stand trial July 5. Prosecutors face a Monday deadline to make any final pretrial filings. After Baltimore Circuit Judge Barry G. Williams acquitted Officer Caesar Goodson Jr. of all charges Thursday, legal analysts say, prosecutors will be looking at whether they have any additional evidence or a new strategy that could help secure a conviction. Warren Alperstein, a defense attorney who has been following the cases, said prosecutors face a frantic few days. "Without a doubt, they have to be extremely disappointed and probably scrambling with their efforts to revive their cases," Alperstein said. Williams "just obliterated their case and their theories." Three of the four Baltimore Police officers still awaiting trial in the arrest and death of Freddie Gray have filed fresh motions asking that their cases be dismissed based on alleged "defects" in the prosecution, according to court records. Those defects, the officers' attorneys have argued, relate to two recent disclosures — one by a Baltimore sheriff's major, who said he agreed with prosecutors to sign off on the officers' charges without personal knowledge of their foundation; and another by a police detective, who said prosecutors prompted her to provide misleading testimony to the grand jury that indicted the officers. Attorneys for both Officer Garrett Miller and Sgt. Alicia White argued in nearly identical motions Monday that the disclosures show prosecutors violated the officers' constitutional right to due process, and that the charges against them should therefore be dismissed. Attorneys for Lt. Brian Rice, the next officer scheduled to stand trial, starting July 5, also filed a motion requesting dismissal based on prosecutorial defects, though that filing was not immediately available on Tuesday. Baltimore prosecutors appear prepared to forge ahead with the next trial of an officer charged in the death of Freddie Gray, on the heels of two acquittals delivered by the judge overseeing the case. The trial of Lt. Brian Rice is scheduled to begin Tuesday with preliminary motions, including defense requests to dismiss the charges. Rice has pleaded not guilty to involuntary manslaughter, second-degree assault, two counts of misconduct in office and reckless endangerment. He is free on $350,000 bail. Following the lead of two fellow officers who were acquitted, the highest-ranking Baltimore Police officer charged in the arrest and death of Freddie Gray has elected to have a judge decide his fate rather than a jury. Prosecutors will also have to try Lt. Brian Rice, whose trial begins Thursday, without being able to present evidence of his ongoing training as an officer. At a pretrial motions hearing Tuesday, Circuit Court Judge Barry G. Williams ruled that the state had committed a discovery violation by not turning over 4,000 pages of documents related to the training until last week. "The reality we have here — you, your office, whoever, didn't do what you're supposed to," Williams said. Officers' training has been a key component of the State's Attorney's Office's case against the officers, showing that they acted against the Police Department's guidelines. They can still cite the agency's general orders and Rice's police academy training. Bench Trial...Smart move.... this Judge already knows there is no case. Nobody would want to risk even a single juror of the type seen on twitter. BALTIMORE —The trial of Lt. Brian Rice, the highest-ranking officer charged in the in-custody death of Freddie Gray, began with opening statements Thursday. Rice is the fourth of six officers to go on trial in the Gray case. He faces manslaughter, assault, reckless endangerment and misconduct in office charges in connection to Gray's death. The 25-year-old died April 19, 2015, a week after he suffered a neck injury while in a police transport van. Prosecutors dropped one misconduct charge against Rice when court began Thursday morning. Legal experts believe the dropped charge is a prosecution concession regarding the role of Rice in Gray's arrest. Follow updates from the trial of Lt. Brian Rice, the highest-ranking Baltimore police officer charged in the Freddie Gray case. The trial of the highest-ranking officer involved in the arrest of Freddie Gray continued Friday morning. State has rested. Judge tosses assault charge but leaves 3 charges. UPDATE: A Baltimore Judge has dropped one of the charges against a Baltimore Police officer charged in the arrest and death of Freddie Gray. On Monday, Circuit Judge Barry Williams dropped an assault charge against Lt. Brian Rice, but the trial will proceed with charges against Rice of manslaughter, reckless endangerment and misconduct. The third day of Baltimore police Lt. Brian Rice's trial in the arrest and death of Freddie Gray began Monday with prosecutors calling two of Rice's fellow officers, also charged in the case, to the stand — then immediately casting them as hostile witnesses. Such motions are seldom granted, in part because judges have to consider the charges in the “light most favorable to the state,” as Williams noted. I have been watching (selected) trials for several years. The defense motion to dismiss after the State rests is a standard formality normally. I do not recall such a motion ever being granted prior to this case. Even with a very weak case that ultimately ends in acquittal.. the Judge denies the motion and lets the thing run it’s course. The fact that one charge was dismissed indicates a case weaker than very weak… the weakest case I have ever seen presented..
A day after a judge dismissed one of four charges against Baltimore police Lt. Brian Rice in the arrest and death of Freddie Gray, Rice’s trial continued Tuesday with more testimony from defense witnesses. The first witness, Dr. Matthew Ammerman, a neurosurgeon, testified that he believes Gray's fatal spinal cord injuries in the back of a police transport van last year were immediate, rather than progressive, and that he sustained them during the last leg of the van’s transport of Gray. The second witness, Dr. Jonathan Arden, a former medical examiner and current forensic pathology consultant, provided similar testimony. That is in contrast to the testimony of the prosecution's medical expert and the medical examiner who performed Gray's autopsy, who said they believed his injuries were progressive -- and that he therefore could have maintained some function, and been able to talk and breathe, for a period of time after the injury occurred. Arden also contradicted the finding of assistant state medical examiner Dr. Carol Allen that Gray’s death was a homicide. He said it was an accident. The testimony speaks to the contrasting theories in the case, and the timing of Gray’s injuries. While the prosecution contends Gray was injured at an early point during his transport, the defense contends he was injured during the last leg – well after Rice’s last interaction with Gray and after Gray had been repositioned in the van several times. Closing arguments in Lt. Rice trial in #FreddieGray case will be Thursday at 10 a.m. Williams said decision will come "sometime thereafter." 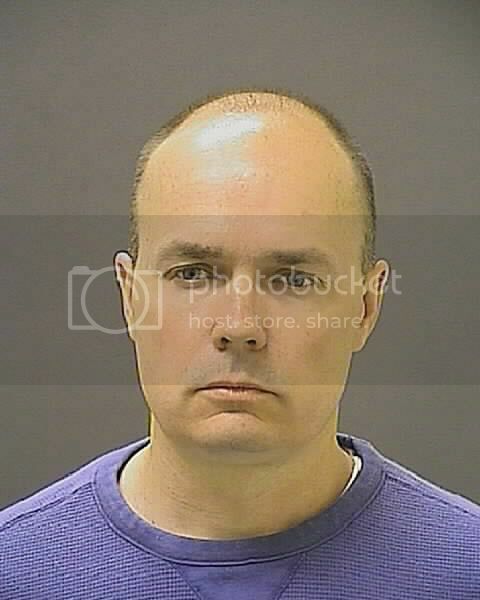 A day after a judge dismissed one of four charges against Baltimore police Lt. Brian Rice in the arrest and death of Freddie Gray, the defense rested their case. Closing arguments will begin Thursday at 10 a.m.